Personal data isn’t just for scientists and marketers anymore. Companies learn and benefit constantly from your digital behavior but the information they gather isn’t shared back. That just isn’t right. And citizenme is going to put individuals back in control of their digital worlds. 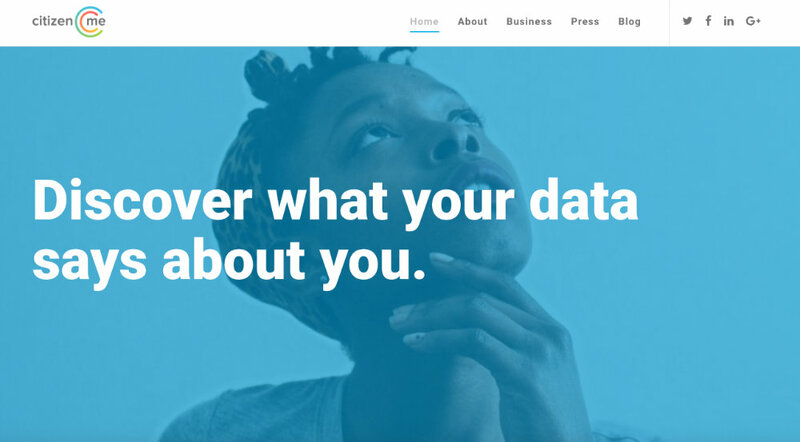 Citizenme is a startup that makes insights from personal data available to the people responsible for creating the data – us. Now, you’ll be able to take better advantage of artificial intelligence, virtual assistants, virtual reality and the Internet of Things, as they each develop. It’s no secret to anymore that data is collected and sold. Where it goes and what it’s used for, though, remains a great mystery. Well, citizenme shares insights with you, so that you get to know your digital self better. And it gets better. How does receiving something more – like cash! – for anonymously giving your data sound? With citizenme, you can get paid for sharing your data. You may also donate it to charities or other organizations that you support and that’s because he driving force beyond this is to empower you to do more with your data. Businesses can turn to citizenme as well for help with market research and data analytics but only as long as data remains anonymous and is used strictly for research purposes. As technology advances, citizenme allows individuals to both be a driving force of change and to be among the first to enjoy the fruits of discovery. It presents its app users with offers and activities that they’d likely not find on their own – be it a chance to receive cash for sharing opinions or receiving prizes for their brand loyalties, just to name a couple examples. The citizenme app is available for download on the App Store and Google Play. They’re just beginning their journey of unlocking the value of personal data. Ready to become a modern digital citizen, and have your data kept private while making life better for you? Then cast your vote for putting data in the hands of people by learning more and downloading the app at citizenme.com.